At 9:00 am Rick and I wandered over to the Moorings office which was right next to our resort. There we had a fairly extensive briefing about the area before being ferried out to our boat. 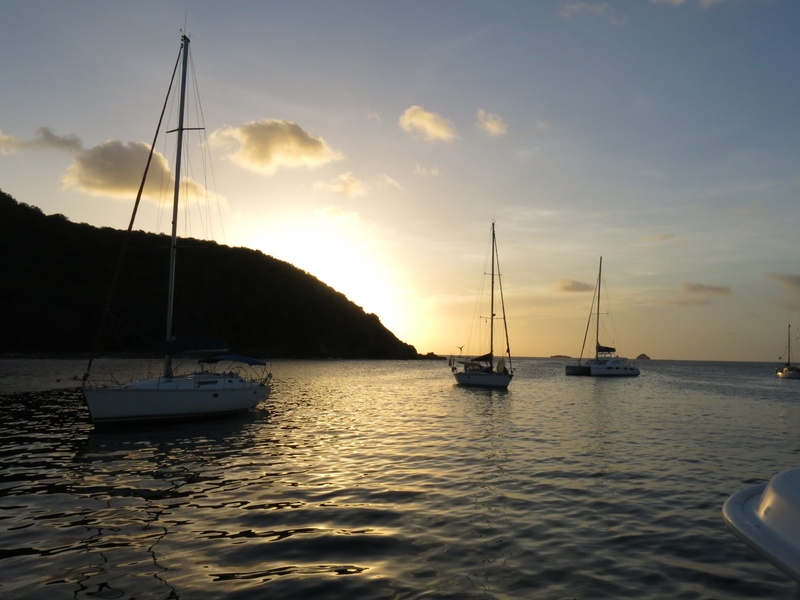 The Moorings base in Canouan is a little different than most charter bases as they only have a small dock that does not accommodate tying yachts up to it. 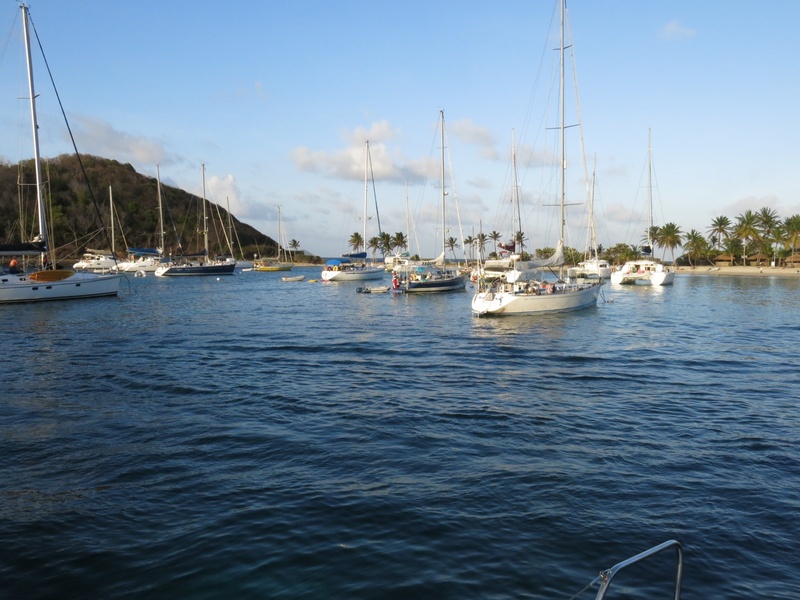 Instead they are tied to mooring buoys and you take a dinghy back and forth to the boat. We were given a very thorough orientation on the boat. The first thing we noticed as we slid open the sliding glass door into the galley was the blast of cold air. This boat has air conditioning! I wasn’t sure that Susan would be able to handle such luxury. On the other hand, if she likes it too much it might be hard to get her back on a “regular” boat! Our boat, “Dakota Dream” (registered in North Dakota) is a 39′ catamaran which means is has two hulls. The cockpit has a large table and the helm (which is elevated). At the rear of the cockpit is a winch system (davits) for raising the dinghy out of the water when you are sailing. From the cockpit you enter the galley and dining area through a sliding glass door. 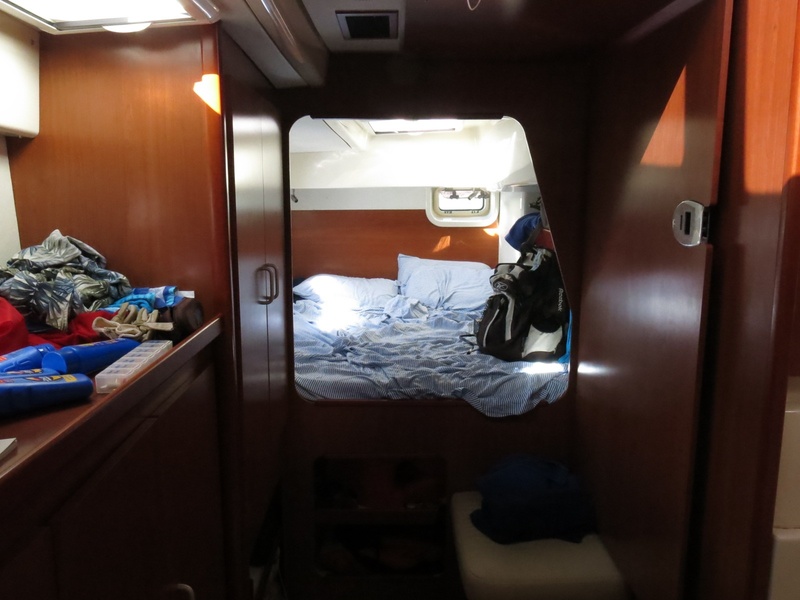 On each side of this main cabin you go down 3 steps into one of the hulls. In the port hull are two cabins and a head. In the starboard hull is the third cabin and another head. All of our provisions that we had pre-ordered were already onboard. After our orientation all that was really left to do was to check out of the hotel and load everyone on the boat. While we waited for our luggage to get ferried over we enjoyed our first lunch onboard. Following lunch we slipped our mooring and were officially underway! Our destination: Salt Whistle Bay on Mayreau Island. We motored out of the harbour, raised sail and enjoyed a pleasant 2 hour sail. Dropping sail we motored into Salt Whistle Bay where we were met by a “boat boy” who led us to a buoy and assisted us in tying up. 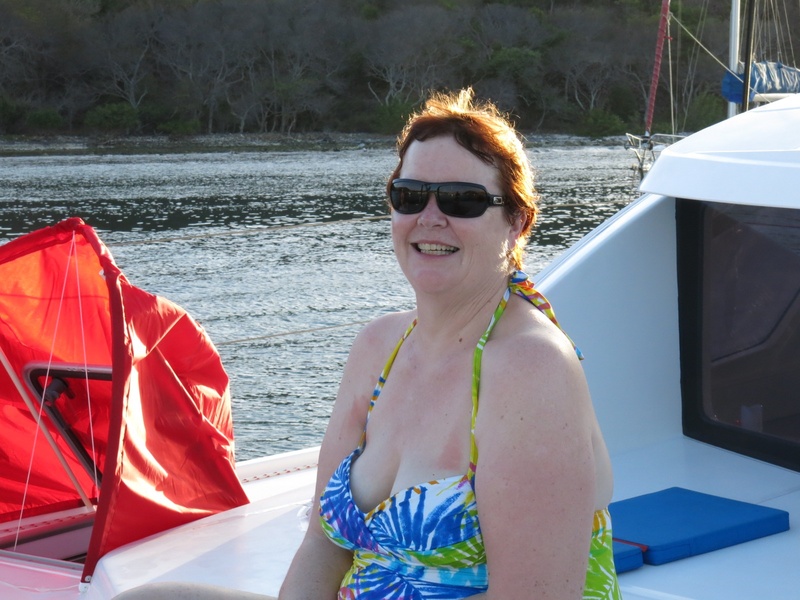 The rest of the afternoon was spent swimming and lounging around the boat. Our day ended with a beautiful sunset, Happy Hour, and a delicious dinner.